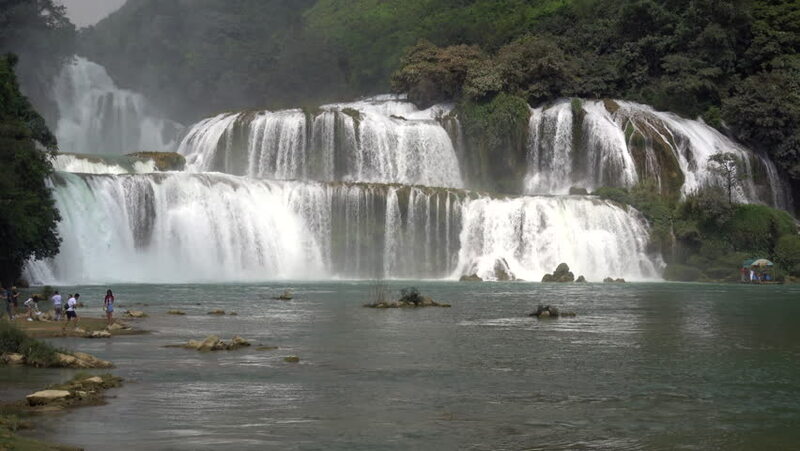 hd00:06Ban Gioc waterfall in Cao Bang province Vietnam, the border line between Vietnam and China. hd00:09Iguazu semicircular Falls National Park on border of Brazil and Argentina. Made up of many cascades producing vast sprays of water. Iguacu most spectacular waterfalls in world. Natural beauty. 4k00:15Slow motion of El Hacha waterfall in Canaima National Park, Venezuela. Water is a mayor hydraulic resource for power generation. Canaima is a beautiful place visited by worldwide tourists. 4k00:15El Hacha waterfall in Canaima National Park, Gran Sabana, Bolivar State, Venezuela. Canaima is a world known place for the beauty of nature and countless waterfalls.